These programmes are designed to equip learners with the skills, knowledge and confidence for a career in journalism in this digital world. In year 1, all aspects of the industry will be studied including, making contacts, interviewing and the craft of writing. Social media and traditional sources will be used to find and publish news. Learners will attain the know-how to get articles published in print and online. In year 2 learners will gain new skills and learn about broadcast journalism through DFEi’s radio station ‘The Wave’. Learners will also generate two blogs, based on news and opinion. Both journalism courses have a strong record of progression to third level institutions. Carear Path Graduates have progressed on to work in the print and digital media as freelance or staffing journalists, writing or editing content. Graduates also work in press offices and as print, design and layout assistants. 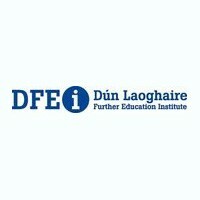 For information about Dun Laoghaire Further Education Institute, please visit our Training Provider page on Whichcollege.ie by clicking here.